← How Hip is Hitler? 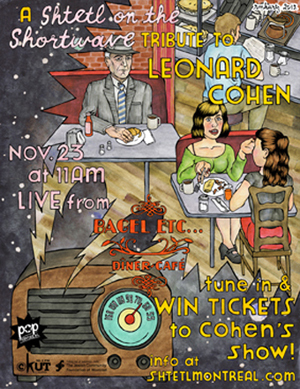 Please scroll down to the play button below to stream this episode, or, download it from Shtetl’s iTunes podcast. Enjoy! Take a trip to Argentina, Uganda, Berlin….meet the traveling musicians in Montreal director Tamas Wormser‘s new documentary The Wandering Muse. 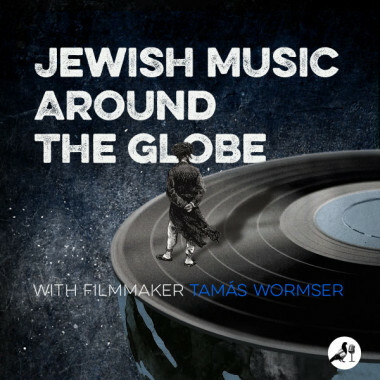 See and hear the sounds of the Jewish diaspora from the viewpoint of musicians like Socalled (Montreal), Daniel Kahn (Berlin), Rabbi Enosh Keki Mainah (Uganda), Marcelo Moguilevsky (Argentina) and many more. Wormser is a Hungarian-born Montrealer and filmmaker. He’s been recording the world of diasporic Jewish music for the past seven years. What has he learned from our wandering muses about being Jewish today? The Wandering Muse screened at RIDM this week and will be playing from November 24th to Dec 3rd at Cinema du Parc in Montreal. This entry was posted in Shortwave and tagged Basya Schechter, Cesar Lerner, Daniel Kahn, film, Jeremiah Lockwood, Marcel Mogulevsky, Moses Walyombe, music, Psoy Korelenko, Rabbi Enosh Keki Mainah, Shura Lipovsky, SoCalled, Tamas Wormser, The Wandering Muse. Bookmark the permalink. Is it possible to buy a copy of The Wandering Muse on DVD? If (hopefully) so, how can this be done? Is Shtetl distributed in a printed version by mail?